Keely Creamer records one of her 19 kills against Valpo on Friday. Creamer broke the record for kills in a three set match. 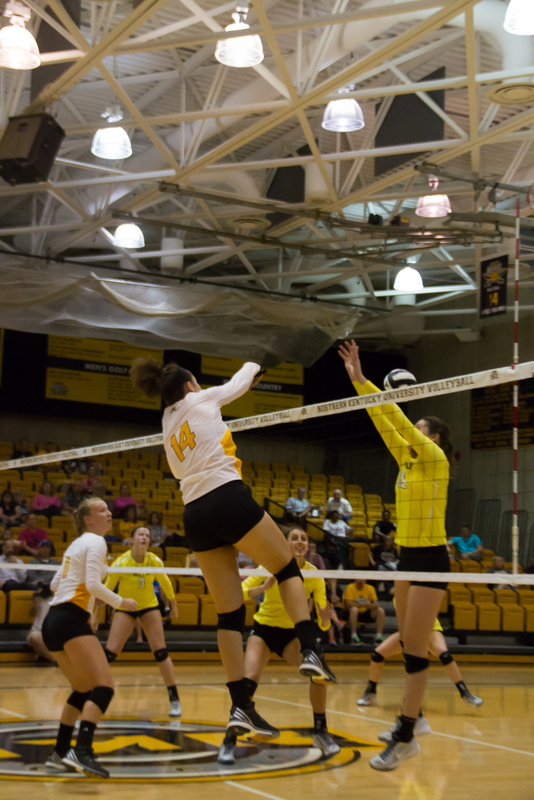 Highland Heights, KY— The NKU volleyball team beat Youngstown State 3-0 Wednesday night in Regents Hall, 25-21, 25-14, and 25-20. The Norse have now taken down their last four opponents in three set sweeps while improving their record to 10-8 on the season. The Penguins fall to 7-14. Snyder recorded her 4,000th career assists last week during the game against Wright State and tonight she made a little more history. Snyder recorded her 1,000th career dig against the Penguins, the second player at NKU to ever reach 4,000 assists and 1,000 digs, and the first player DI at NKU to ever achieve that record. The senior was key to winning this game as well, making 31 assists and 10 digs. The Norse hit .337 for the match while only making 11 errors while also recording seven aces against the Penguins. Keely Creamer was excellent again in this match, hitting .842 and recording 16 kills. During the first set, NKU had 12 kills and .207 hitting percentage, while the Penguins hit only .103 in the set. Creamer had five kills and a .833 hitting percentage while Georgia Childers followed close behind with four kills and a .500 hitting percentage. NKU had 17 kills in the second set and hit .517 for the match improving their total hitting percentage to .368. Creamer had seven kills alone and improved her hitting percentage between the two sets to .923. Snyder and sophomore Haley Libs made three digs a piece in the set to keep Youngstown State to just a .281 hitting percentage. During the third and final set, the Norse had 13 kills. Creamer was again on top for the third set, recording four kills. Snyder, Libs, and Lauren Hurley combined for 16 digs against the Penguins to seal the deal down the stretch. 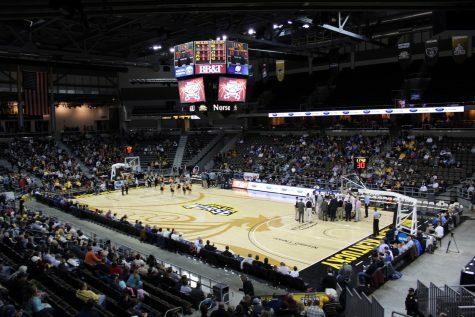 The Norse will play again on Saturday Oct. 15, when they return to Regents Hall to face University of Illinois-Chicago. The match will be available on ESPN3.